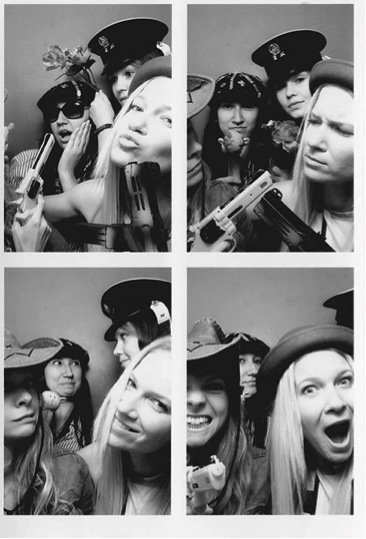 Published On December 30, 2015 | By Jo Sutherland | Best of Brighton, Brighton Style, Only in Brighton! The first in our series of Brighton Area Guides where we bring you the lowdown on each area of the city. 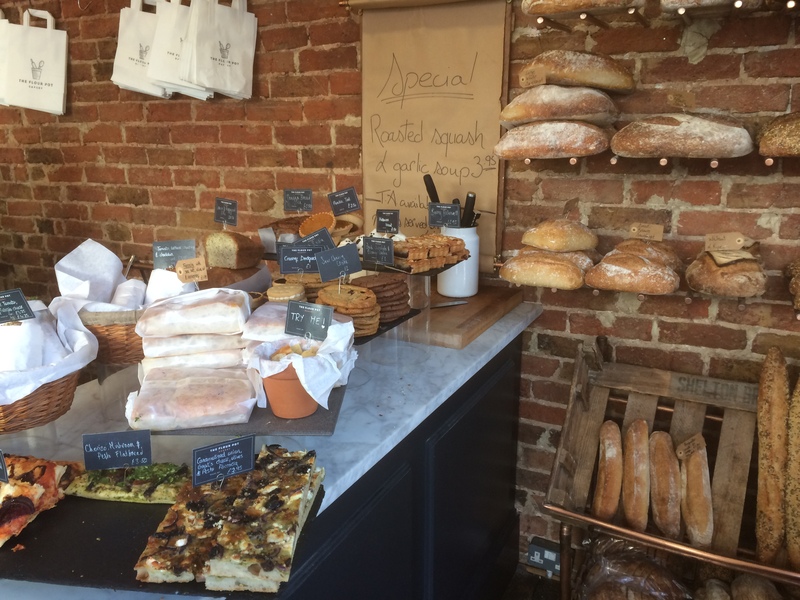 A local takes you on a journey through their neighbourhood unveiling the hidden gems, interviewing other locals and divulging their favourite stops for day trippers and Brightonians alike. 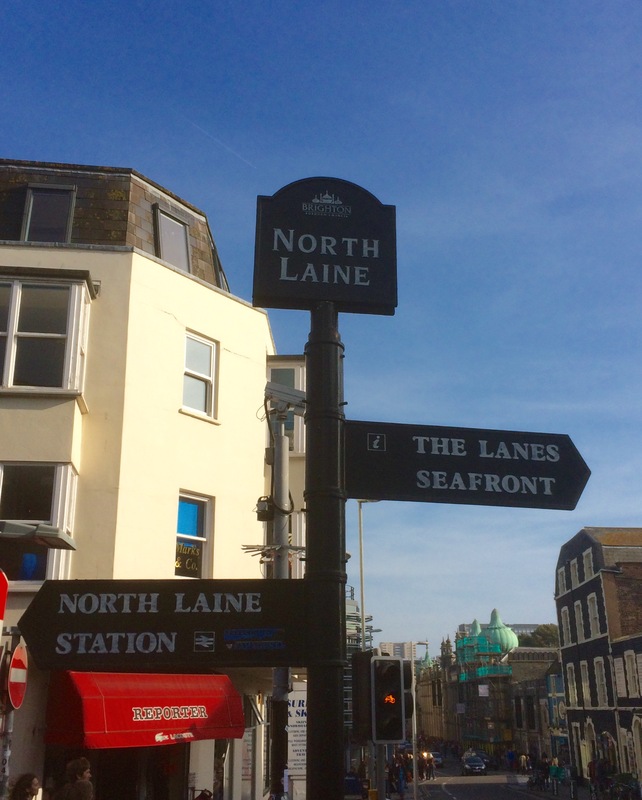 So, firstly – what’s the difference between the lanes and laines? Anyone? The lanes are the quaint little passageways that live between North Street, East Street and Ship Street. 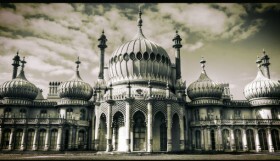 This, according to ‘Brighton; A Very Peculiar History’ is the oldest part of our beloved city. What used to be a fisherman’s hang-out is now a popular spot for some of Brighton’s best bars, eateries and shops. If you stroll along the lanes at night, pretty fairy lights dot the alleyways and you’ll feel like you’ve accidentally slipped into Neverland, well that’s how I feel after a drink! The Laines, however, refer to something else. In Medieval times, the surrounding downs and fields were divided into five Laines: North, West, East, Little and Hilly. The North Laine, our current area of focus, sits in that special place between the railway station and North Street. We may as well begin our journey at the station. Once the barriers have eaten your ticket, exit right and curve around so you end up walking under the bridge and downhill into Trafalgar Street. Banksy has been known to make an appearance along this stretch and a famous piece of his, adorning The Prince Albert pub, was removed and sold recently; even minus a Banksy, the surrounding brickwork is usually donned with impressive graffiti art. Half-way down this strip, you’ll find a gem of a café. HelmSton, described as serving “friendly folk food”, is a delight. My nearest and dearest Brighton buddies all shouted out this place when I asked for suggestions… and they were spot on. The food is delicious; fresh and healthy, as well as being vegan / veggie (and pretty much every-dietary-intolerance) friendly. As I sat waiting for my food, I heard a lady in the queue say to the waitress: “I love this place, it’s so cute… such good vibes“. I hadn’t even mentioned I was writing an article: says it all really. Turning south into Sydney Street, you’ll be graced with an abundance of vintage markets and leather shops. Once you’ve shopped yourself silly, refuel on a snack at the Flour Pot Bakery, and wash down the yumminess with a drink at The Office. You’ll barely have to move between the two; my kind of indulgence! 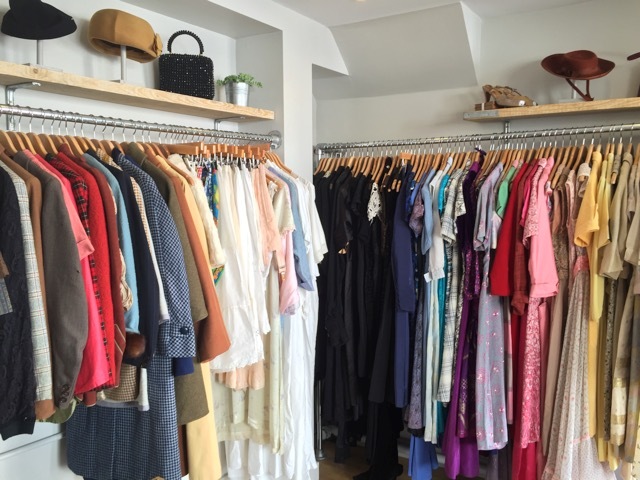 But first, be sure you pop into Molly’s Vintage on the corner of Tidy Street. There are vintage shops a’plenty in this part of town. Beyond Retro usually gets its fair share of attention (as well it should; it’s wicked) but definitely check out the smaller stores, like Molly’s in Sydney and All About Aud in Trafalgar. If you end up in Kensington Gardens; it’s always rammed so be prepared for the crowds. This street is home to some truly wonderful eateries: Iydea and Wai Kika Moo Kau being two of the most yummy veggie joints my taste-buds have ever had the pleasure of experiencing. Try the tofu in Wai Kika; as a fully-fledged meat-eater, I was initially hesitant but the friendly waiter said he’d refund me if I didn’t like it… and, low and behold, he kept the money. It’s along this stretch that you’ll also find the famous Snoopers Paradise; well worth hunting through for anything and everything, and make sure you dress up and take a pic of yourselves in the photo booth! Just down from Snoopers is Resident Records, which has recently expanded and is definitely worth a look. These guys also sell tickets to live music gigs in and around Brighton. “Brighton is the perfect place to visit for a spot of record shopping as we are lucky enough to still have a wealth of record shops, selling both new and second hand,” said Resident’s Natasha Youngs. 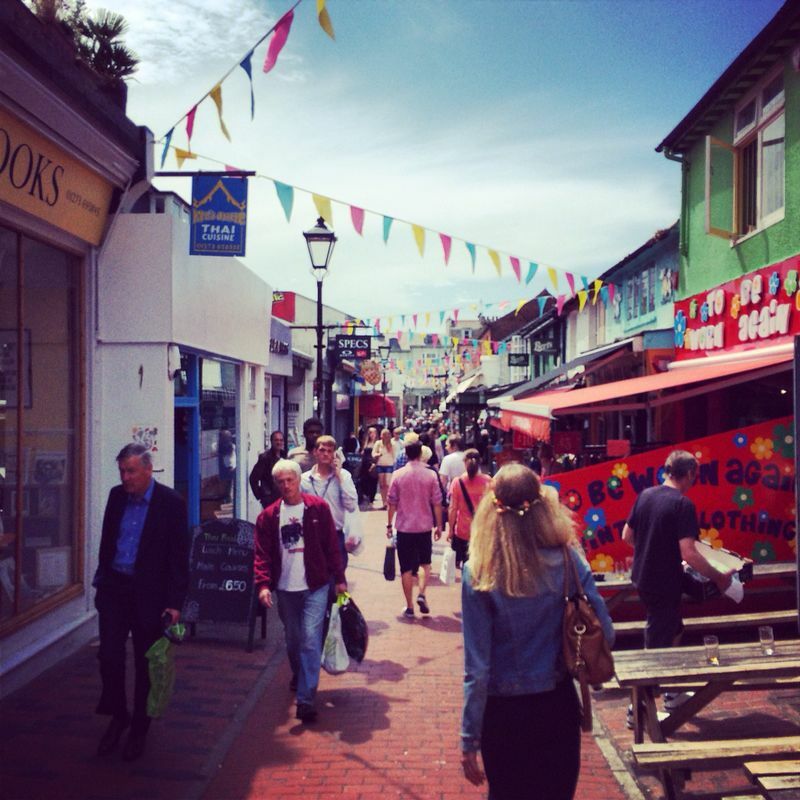 “We are amongst a whole host of independent, interesting & individual businesses who collectively make Brighton a really exciting & vibrant place to shop”. At the end of Kensington, you’ll see Brighton’s much-loved Infinity Foods: the UK’s leading wholesale distributors of organic and natural foods. If you’ve spent most of your life avoiding the kitchen (like me), then you’ll be amazed at the array of veg in there – I’ve been introduced to vegetables I never knew existed. Infinity: a whole new world. Shining, shimmering, splendid. Parallel to Kensington Gardens is Upper Gardner Street. This is quieter than its busy neighbour and the street is lined with independent markets and stalls. You’ll also find Silo situated here; a restaurant, coffee shop, bakery and brewery that was conceived from a desire to innovate the food industry whilst demonstrating respect for the environment and our bodies. All the furniture is upcycled and they enforce a zero waste policy. If that isn’t hip enough for you, the menu of this truly sustainable food business is exquisite. I practically dribbled over my dish. Mosey on over to Gardner street. 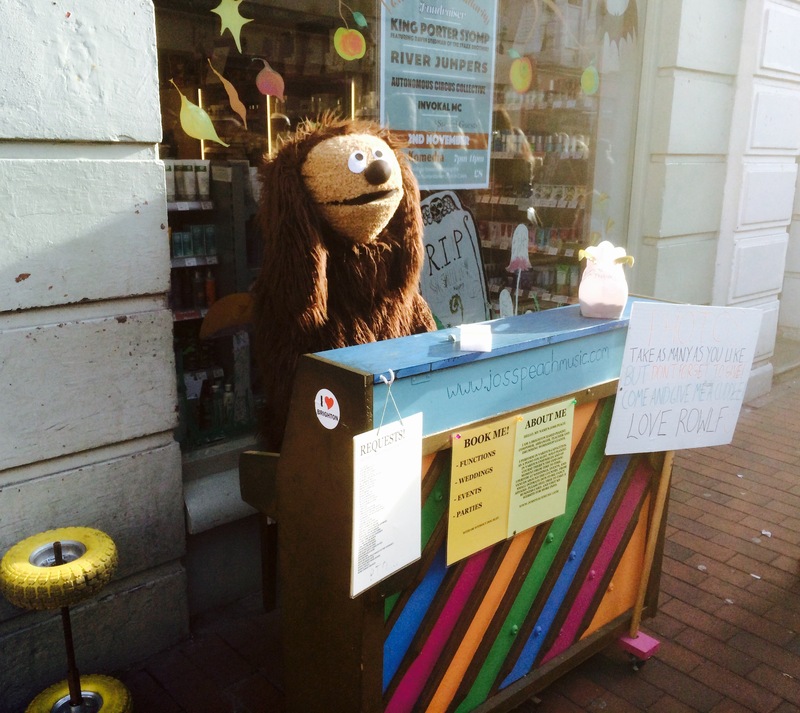 Here you can enjoy the pleasure of making friends with Rolf from the Muppets – Rolf is a master pianist and he also gives out free hugs. What else do you need in life? In Gardner, you’ll also be serenaded by bird-song as (in)famous local Tim Bat aka Birdyman walks around selling bird whistles, and at the far side of the street there’s usually a live band / musical duo. 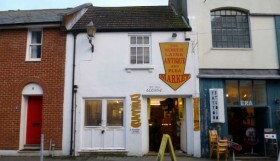 Finally, it’s well worth mentioning the arts and culture hotspot that is situated towards the end of the North Laine. 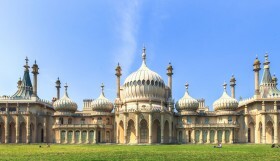 If you haven’t visited the Royal Pavilion, then you haven’t lived… in Brighton. As a theatre buff, I’d also recommend you catch a show at the 208 year old Theatre Royal Brighton. As well as being recognised as the South Coast’s premiere venue, this is one of the oldest working theatres in the country. 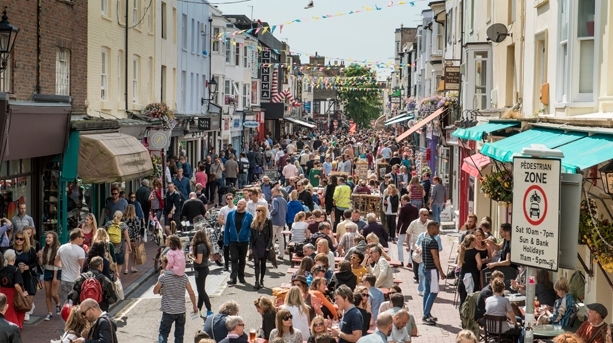 In summary: Brighton’s North Laine is home to many creative creatures – musicians, artists, independent businesses and the residents themselves. The people in this part of town are so friendly; smiles will greet you left, right and centre! Visit the North Laine and you’ll have your pick of delicious cafes, cosy pubs, bustling bars, quirky shops and hotspots. There’s something for everyone in this part of town.